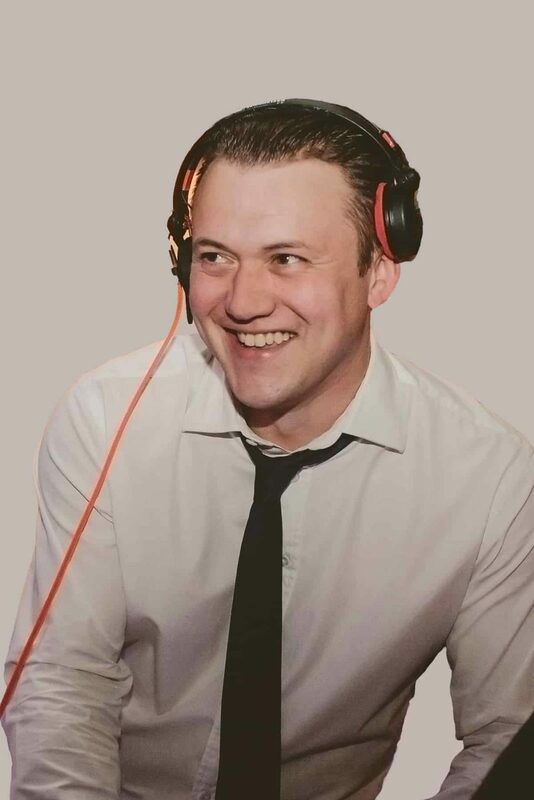 DJ2K was founded by Danny Costello out of a lifelong passion for music and high quality events entertainment. I want couples and their guests to have the night of their life, and you can only do this through getting to know them and the possibilities afforded by the venue. It’s not just about music. It’s about the right music, the connection with the audience and the understanding of what they want. It’s not just about a DJ and a dance floor. It’s about turning a function room into a magical environment using all the lighting, innovations and creative décor ideas at our disposal. I take responsibility for every event; recruiting only the most professional and talented DJs and leading the planning, preparation and getting-to-know-you process personally. We’re proud to have won many awards, but most rewarding for me is the delivery of a sensational night and the outstanding feedback we consistently receive. Our values at DJ2K are about integrity and passion and sheer commitment to the best possible service and giving everyone the time of their lives. We’ve been the winners of the most popular DJ service in London, Surrey and South East for many years from many prestigious industry awards, voted for by Brides and Grooms delighted with their experience. Your special night couldn’t be in safer hands.